Just finished working out and completely unaware of where the energy is coming from this evening. Usually on a hot, humid night like this, I feel spent...with little left in the tank. Maybe it's all the soda I had. Or the residual effects of the bagel slathered with butter I had this morning. Wherever it came from, I won't complain. I stopped at Wegmans on the way home from work to pick up some things, only to find all the traffic lights in the general area dark. Wegmans was pretty dark as well, and all the frozen foods were off-limits, covered up in an effort to trap the cold for as long as possible. I got what I could, but had to leave some things behind. The spring has been mostly cold and wet again. The heat has finally arrived in response to my earnest prayers. We've had a couple days touch 90 already. Yesterday I ran down Jackson Rd. in full view of a merciless sun, sweating mightily but plowing through nearly 4 miles at a steady pace. If this were September I might be weary of it. After a bitter winter and an awful spring though, my body is absorbing the heat like a sponge. All the better to store up for the fall and winter to come. 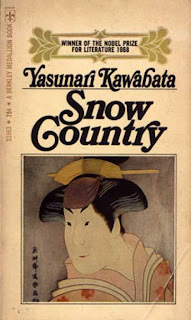 I'm reading a short novel called Snow Country right now which is really brilliant. It won the Pulitzer Prize for Literature in 1968. I picked it up at a used book sale at work. It was a dollar, more than the 75 cent cover price. Well worth it, however. It's a small story about a man from Tokyo who visits Japan's snow country every year for a getaway. Snow country is in the northwestern area of the country, where the Siberian winds cross the sea to slam against the mountains there and dump fantastic amounts of snow. He develops a relationship with a young geisha at the inn where he stays. The dialogue is pitch perfect, almost minimalist. 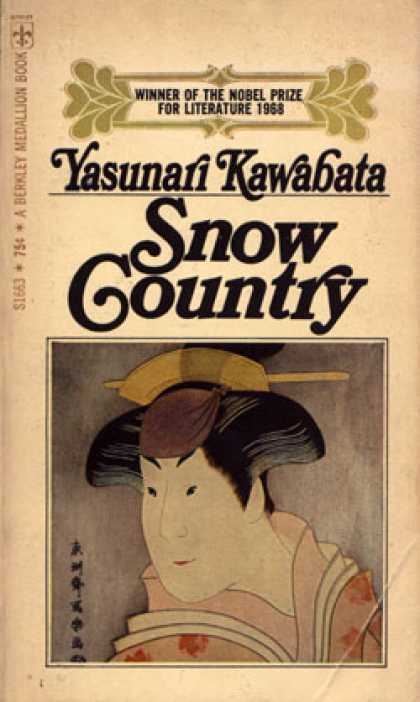 The author, Yasunari Kawabata, throws in delicate descriptions of the landscape and insect fauna to paint a rich picture of the place and the people. It's only 142 pages, which is the only flaw I can find in the novel. Calling it a flaw is not really accurate though. The brevity of the story only increases the enjoyment of every carefully chosen word. I'd read a blog in a Japanese English language website that mentioned this book, and I'd kept thinking about it for a couple weeks, right up until I ran across an old copy of it at the sale. Guess I was meant to read it. An incident like this always makes me wonder how much good stuff is out there that's now out of print and I've missed. It's frustrating to contemplate. As for my own writing recently, you're still looking at it. Yeah, I know.